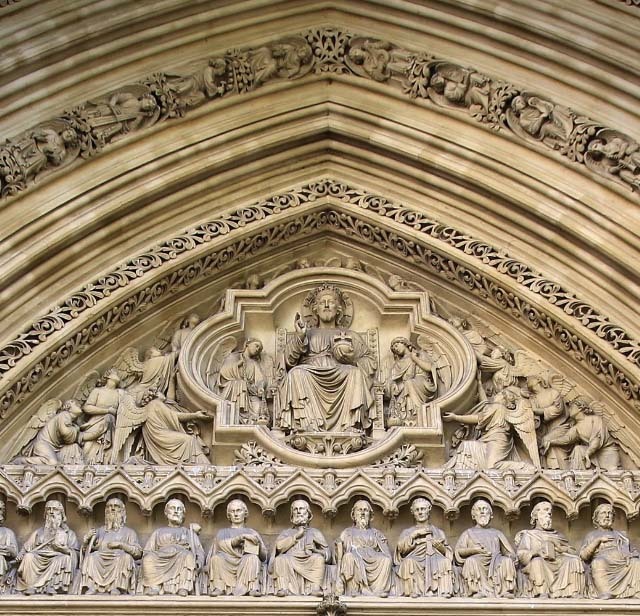 Westminster Abbey Museum | Museums London — FREE resource of all 200 museums in London. Housed in the magnificent vaulted undercroft beneath the former monks' dormitory, the museum is one of the oldest areas of the Abbey, dating back almost to the foundation of the Norman church by King Edward the Confessor in 1065. The centrepiece of the exhibition is the Abbey's collection of royal and other funeral effigies. This collection includes the effigies of Edward III, Henry VII and his queen, Elizabeth I, Charles II, William III, Mary II and Queen Anne. Later wax effigies include a striking likeness of Horatio, Viscount Nelson wearing some of his own clothes and another of the famous Prime Minister William Pitt, Earl of Chatham, modelled by an American lady called Patience Wright. During recent conservation of Elizabeth I's effigy a unique corset dating from 1603 was found on the figure and is now displayed separately. The Abbey’s history is made up of famous Kings and Queens, as well as renowned poets and priests – even heroes and villains were embroiled in its past! Child ages between 11–18 years old. This museum is open daily but may be closed for State and other special events.